Here at Suburban Emergency Medical Services, we pride ourselves by being a full service medical services and transportation provider. We provide immediate response to 9-1-1 emergency calls 24 hours a day, 7 days per week. We also provide non-emergency, medically necessary transportation for patients who have scheduled appointments. We are members of the Ambulance Association of Pennsylvania and the American Ambulance Association so that we can remain current with what is happening in our industry. We are actively involved in training and education and emergency preparedness. 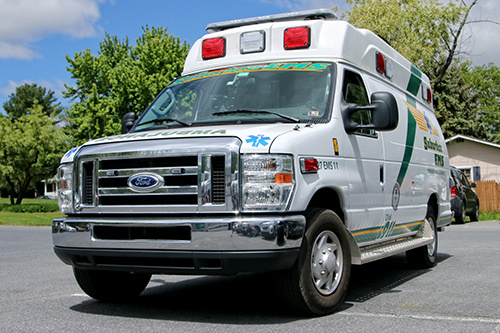 Suburban EMS has grown to include four ambulance stations in Northampton and Monroe Counties. Our stations are located in Palmer Township, Forks Township, Stroud Township and Rosetto Borough. Our offices are located in Palmer Township. Click on the links listed below to read more about each service and all their benefits.